Many churches today are real event centres and are therefore fitted with a stage and event technology. 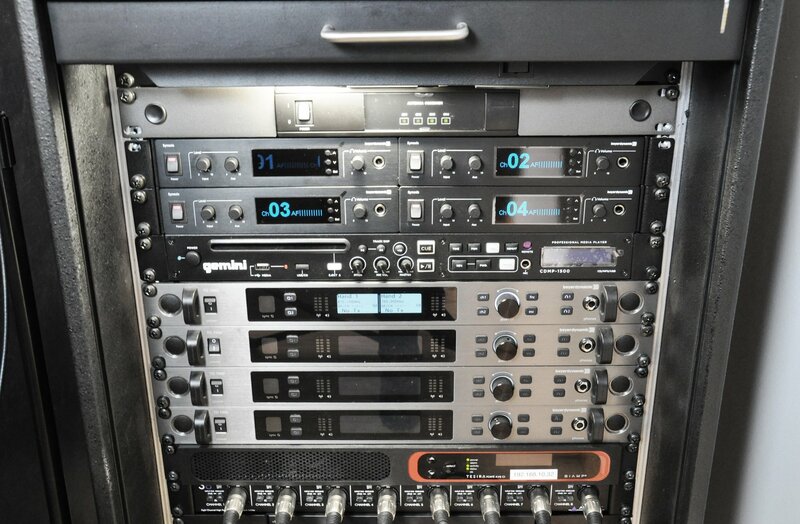 They have everything from modern media technology, projectors, screens, light and sound technology, public address systems, assisted listening and even interpreter systems. 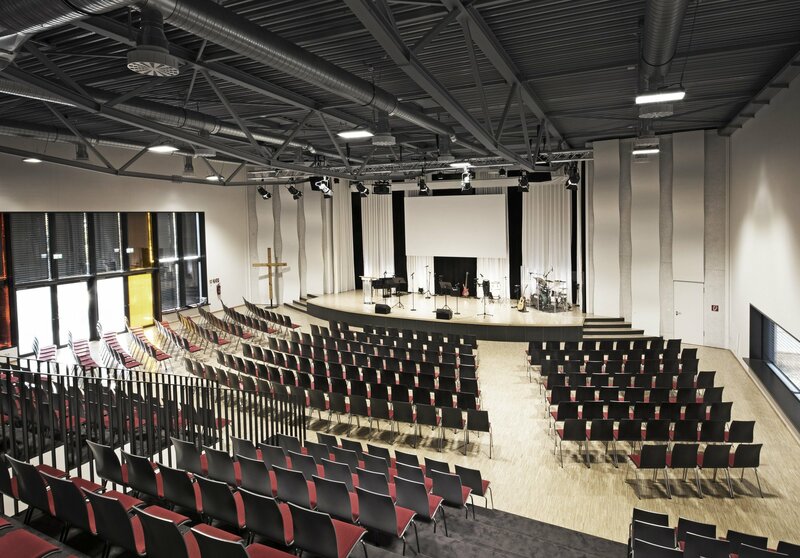 The “Community of Decided Christians” (Gemeinschaft entschiedener Christen – GEC) in Heilbronn, Germany, is an Evangelical Free Church with around 500 members from 37 countries. It has constructed a new building, the “Silcherforum”, which is equipped with extensive technology. It uses the venue not only for its religious services, but also for concerts and other events. The large hall, with an area of 600 m², has capacity for an audience of 500 seated or up to 700 standing. Like most buildings, the modern new construction has many smooth surfaces such as extensive glass panelling and parquet flooring – a nightmare for the acoustics. Due to the smooth and reverberant walls, the sound is repeatedly reflected back into the room, which has an adverse echo effect. Speech is blurred due to the long reverberation, which also affects speech intelligibility. 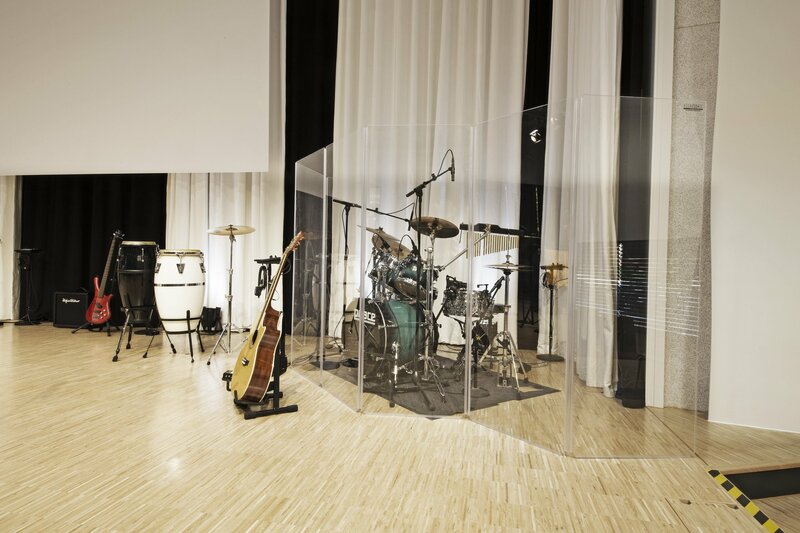 A sound-absorbing acoustic curtain is hung behind the stage as a countermeasure. Additional absorbers to the sides of the stage swallow medium to high frequencies and thus help to reduce reverberation. The trapezoidal sheet ceiling features holes through which the sound waves can reach cavities behind it which are filled with mineral fibre, where they are caught, so to speak, and thus lose their energy. The stands are carpeted, as a result of which more mid-range to high-frequency sound energy is absorbed than reflected. As a precaution against standing waves, numerous corrugated acoustic panels have been placed on the walls. These are intended to prevent the aforementioned standing waves by reflecting the sound waves in different directions and not throwing them straight back. This ensures optimum acoustics in the function hall, which significantly aids speech intelligibility at events. The microphone forms the start of the public address chain – the point at which the sound is picked up. Alongside the acoustics, it is therefore very important that the sound is picked up well by the microphone, as anything not optimally picked up at the start cannot be corrected in the signal later on. It is therefore worth planning the microphone installation carefully. 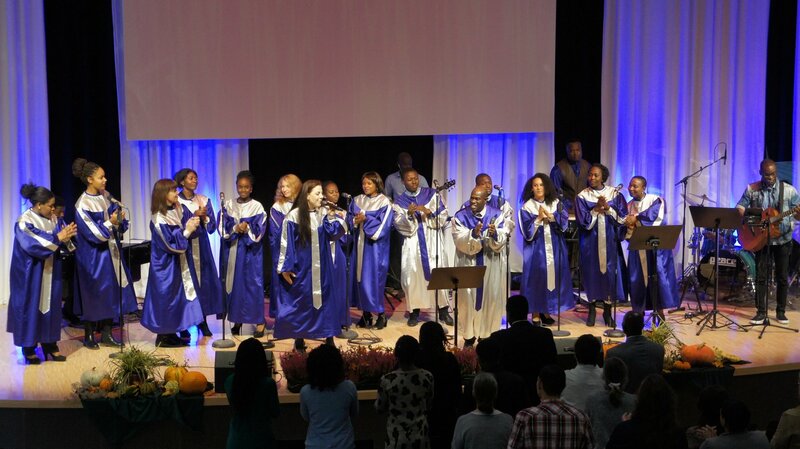 The church services and community events not only include sermons and lectures – the community also has three bands among its ranks. In addition, concerts take place regularly. For this reason, the stage is equipped with extensive microphone technology from beyerdynamic. 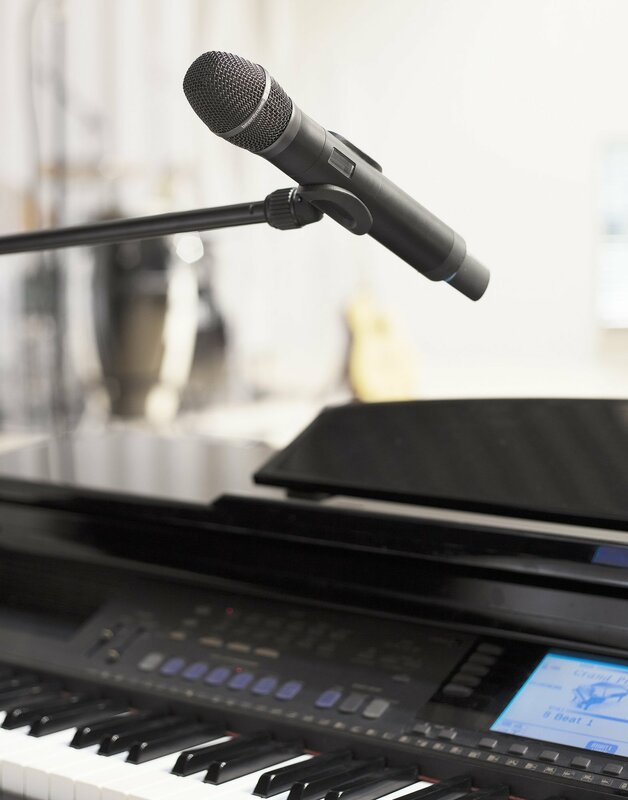 Wireless TG 1000 microphones from beyerdynamic are used for sermons, moderation, singing and violins. “We move around a lot”, explains Oliver Schaal from the GEC, on the use of wireless microphones. Pocket transmitters with neckworn microphones and handheld microphones are provided. The handheld transmitters are used with high-quality true condenser microphone heads, which are ideal for singing and speaking and have a neutral sound. They have high sound quality, a clean, frequency-independent polar pattern and a low proximity effect. The TG 1000 system has an especially large switching bandwidth of 319 MHz (470–789 MHz). It is thus possible to avoid interfering frequencies, and the system can be used almost worldwide. This makes this wireless series particularly future-proof and less prone to interference, as some frequencies are occupied by mobile Internet and television, for example, which also affects wireless microphones in the UHF range. The drum kit is miked with beyerdynamic drum microphones, with MC 930 true condenser microphones used as overhead microphones. They are very linear and, thanks to the slight boost from 5 kHz, they are particularly good for instruments with a large proportion of higher frequencies, such as cymbals, for example. The dynamic TG D70d microphone is designed for deep-sounding instruments and is used for the bass drum. TG D50d microphones are used for the toms. This dynamic microphone, which easily copes with high sound pressures, transmits frequencies below 800 Hz rather more powerfully and thus emphasises the rounded kettle sound of the toms. Thanks to a special clamp bracket with a swan neck, the microphone can be optimally attached to the drum shell and aligned. 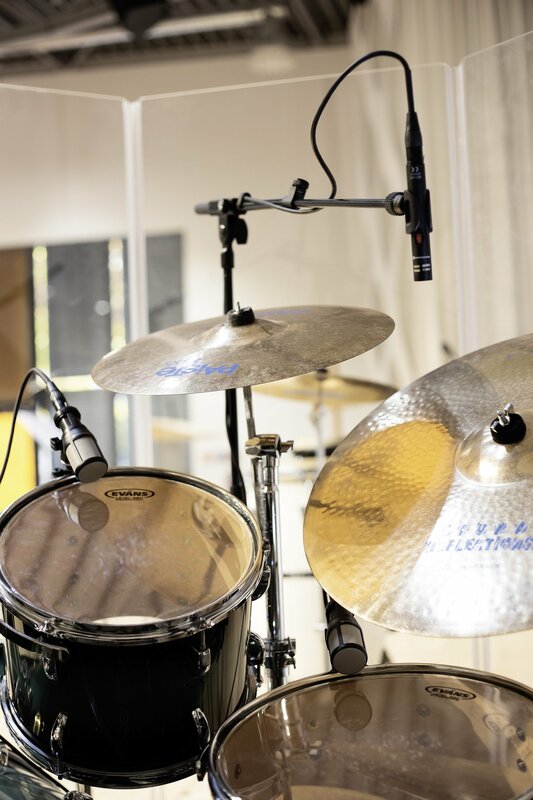 The TG I53c condenser microphone is used for the hi-hat. The high-frequency boost from 7 kHz ensures that the hi-hat sounds brilliant and clear. The TG D58c condenser clip microphone is positioned on the snare. It has a linear frequency range up to 1.5 kHz, after which the sensitivity steadily increases up to 8 kHz, which supports the sound of the snares. As a long-established free church, the GEC is a community which unites all generations and also has many people of different nationalities in its ranks. 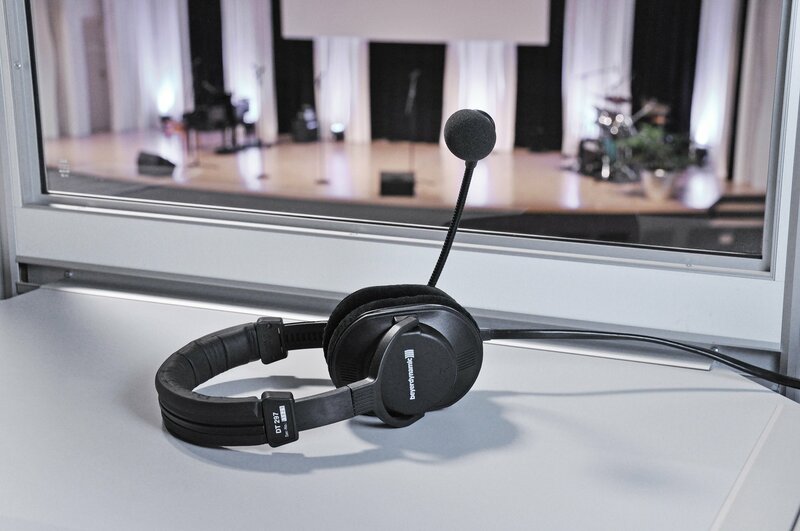 The beyerdynamic Synexis system was therefore installed to provide assisted listening and interpreting facilities. “The system’s dual-purpose character in particular made it so appealing to us,” explains Oliver Schaal from the GEC. “In addition, with a fixed loop we couldn’t offer translation for the hearing impaired – with Synexis we can do both at the same time. And if necessary, we can simply offer additional foreign languages on other channels or expand the system for more participants”. At the moment, four Synexis TS8 stationary transmitters are installed, allowing up to four languages to be transmitted (original language for assisted listening + three foreign languages). They are connected via an antenna combiner, meaning only one transmitting antenna is required for all four languages and to cover the entire area of the 600 m² hall. Church services are offered in German and English, and up to three foreign languages are planned for the future. To that end, an interpreter’s booth for three interpreters has been installed. Active members of the community act as interpreters. They use beyerdynamic DT 297 headsets, through which they can hear the German sermon and translate it into a foreign language. 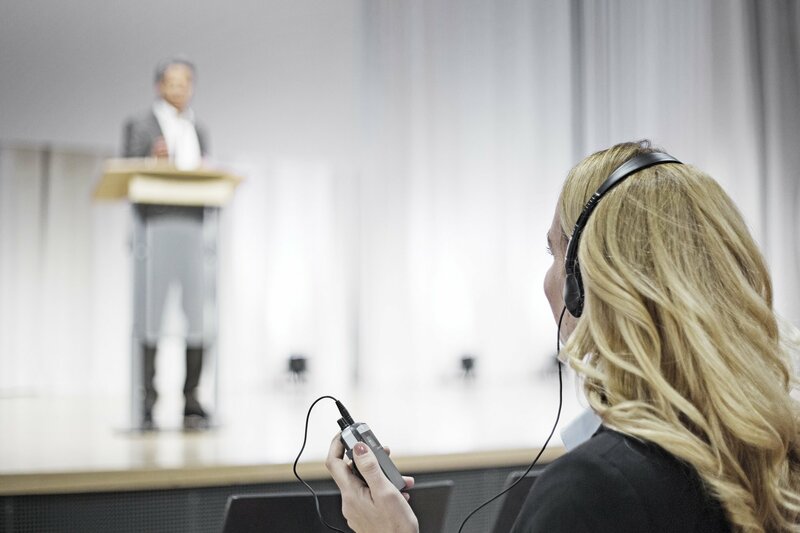 The headphones have a closed construction and therefore provide good ambient noise isolation, allowing the interpreter to concentrate better on translating. 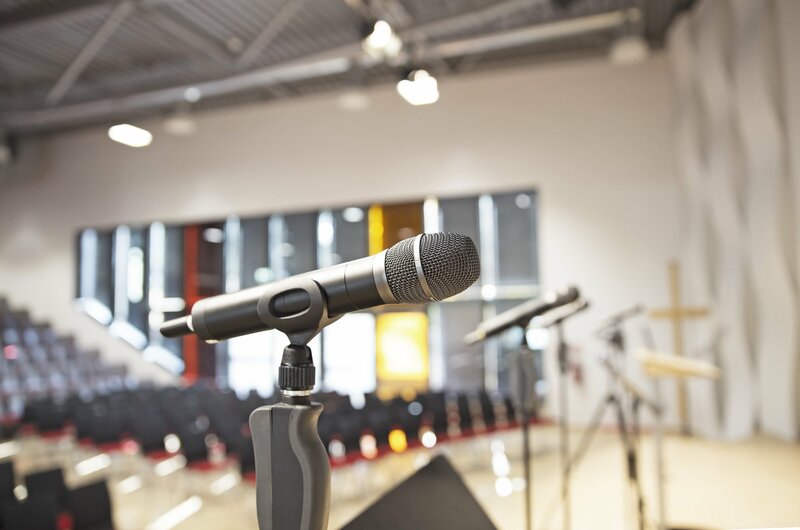 The UN Convention on the Rights of Persons with Disabilities, as well as the resulting laws and standards for implementing inclusion and accessibility make it essential for churches and event centres to provide assisted listening. Communication aids need to be provided in assembly and seminar rooms for people with sensory impairments. The needs of people with hearing impairments should be taken into account in planning from the outset. Normal public address systems are inadequate for the hearing impaired, as they require a considerably higher proportion of direct sound compared to those without hearing impairments. Direct transmission of the sound signal via headphones or induction loops for hearing aids and cochlea implants (CI) is therefore required. 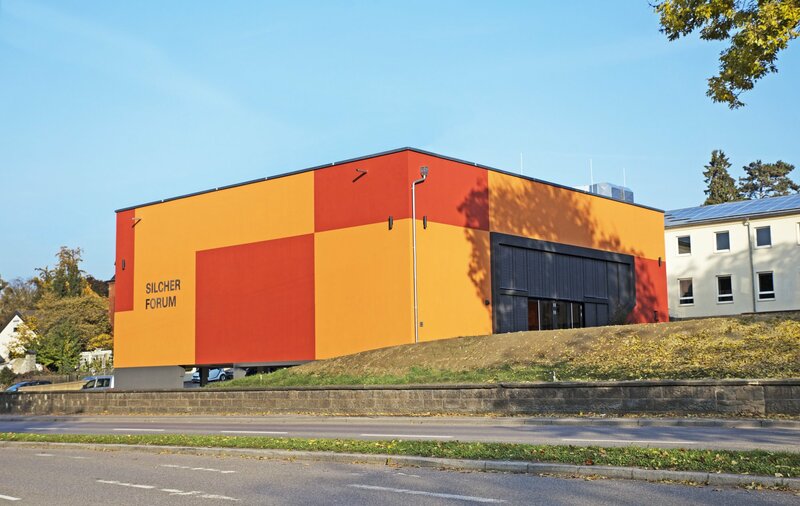 The GEC has implemented a very simple solution to accessibility requirements at the Silcherforum: the building is completely barrier-free, thanks to ramps, a lift and disabled toilets. 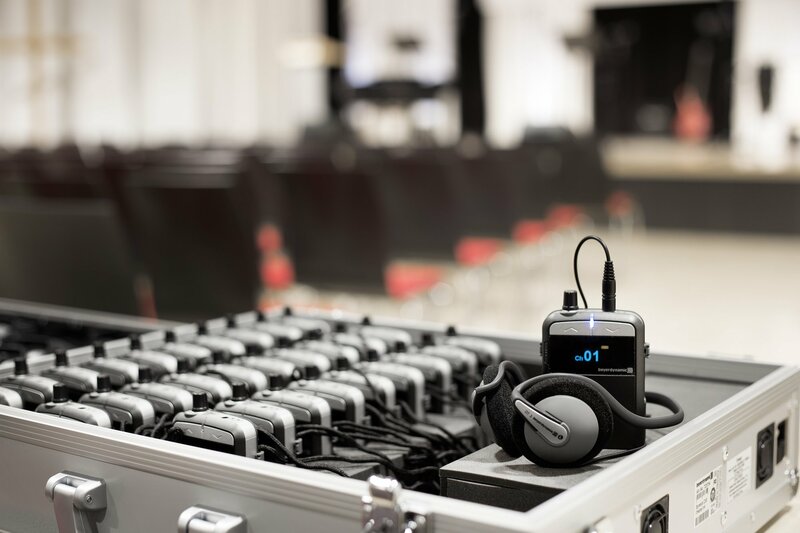 The Synexis mobile FM system from beyerdynamic is used for the hearing impaired. This wireless solution can also be installed at any time in any existing church, even if it is a listed building or if there are any structural incalculables, as it requires no reconstruction work. People with hearing impairments can choose between headphones or induction neckloops. 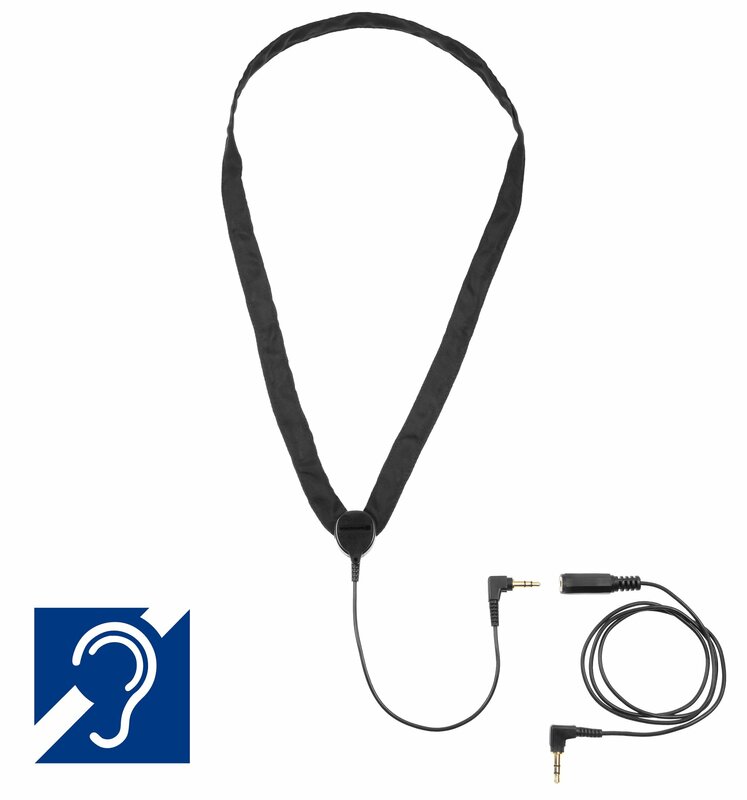 The IL 200 induction loop is simply hung around the neck and the hearing aid/CI set to the T setting, allowing the sound to be transmitted inductively to the hearing aid/CI. They can sit wherever they wish and still have the sound transmitted optimally. Accessibility for the hearing impaired can thus be implemented quickly and easily, at the same time underscoring social engagement. Do you have any questions about implementing accessibility for the hearing impaired with the Synexis mobile listening system?